My name is Andrew Morrison and welcome to my straw bale building site dedicated to anyone interested in building their own straw bale house. If you are brand new to straw bale or are a straw bale construction specialist there's something for you at StrawBale.com. 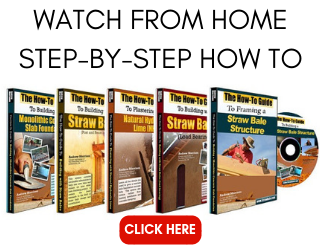 Click HERE if you are new to straw bale construction and want to start learning. I have a ton of information for you including: photo gallery, step-by-step instructional videos, information about straw bale workshops around the world, free straw bale articles, top notch consulting, and a full straw bale building blog. 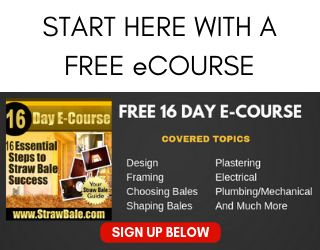 Be sure to sign up for my e-mail updates and my free 16 day straw bale e-course so we can keep you posted of the latest developments in the ever-changing world of straw bale. 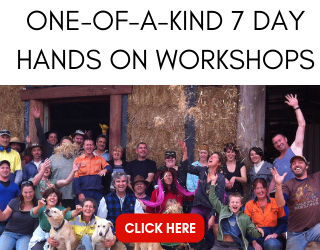 If you are eager to fast track your education in straw bale construction, click here. Wondering if Straw Bale is Right For You?